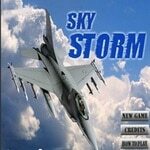 Modern Air War is flight shooting game. You will need to control new aircraft to fighting. This game is based on modern war. To be the best you must collect and use money to upgrade to the next challenging level.